The internet makes it so easy for us to share and access beautiful images. Today we explore the use of those shared images, and one way we can use social media to share our photographs. 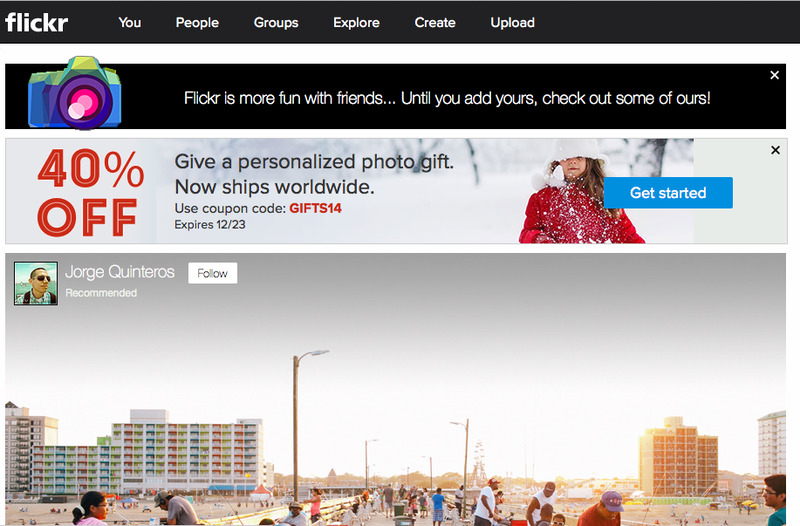 The site that we are exploring today is Flickr. It is just one of many image sharing sites. 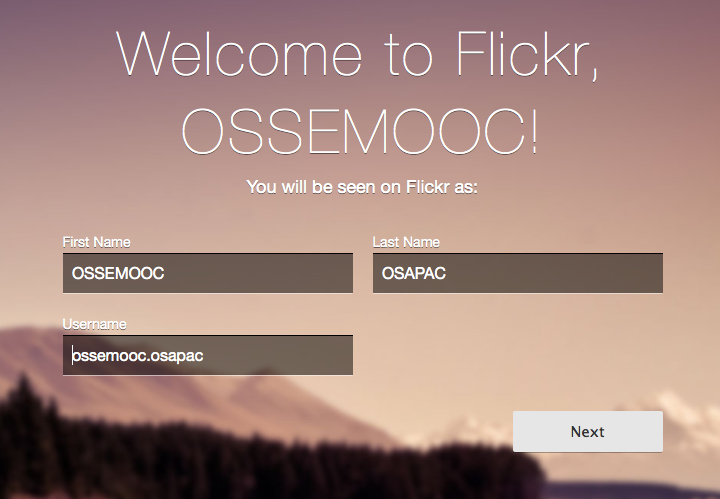 If you have a Yahoo account, you can create a Flickr account using it. 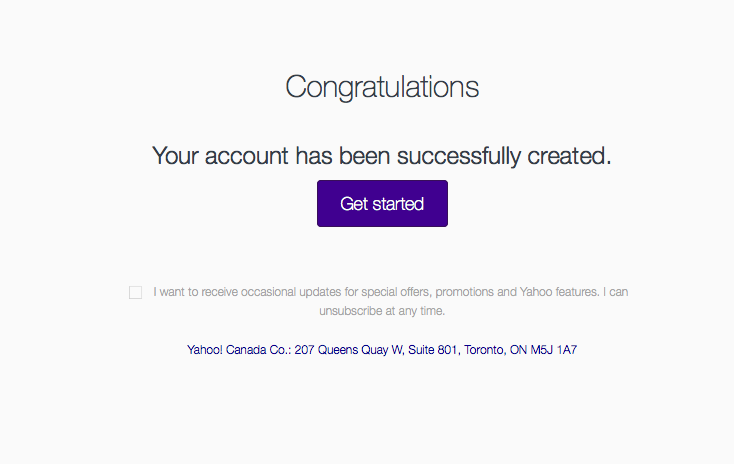 If you are new to Yahoo, you will need to begin by creating an account. Once you have an account, “get started”! 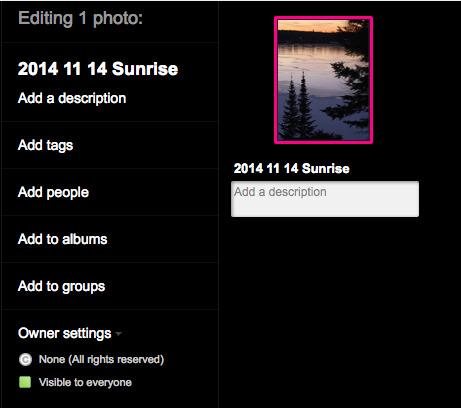 You can create different Flickr accounts for different purposes. There are many ways to use Flickr in the classroom. For today, we will use our ten minutes to explore Creative Commons images, and sharing images. 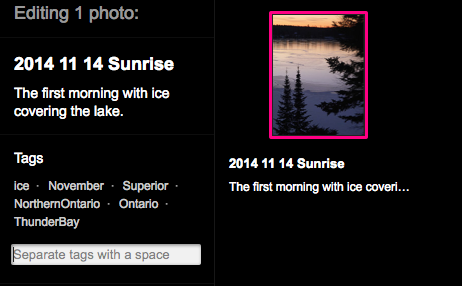 When you first see your Flickr page, there will be some images and users suggested for you to follow. It isn’t necessary to follow other Flickr users, but you can if you like to create a photo feed. 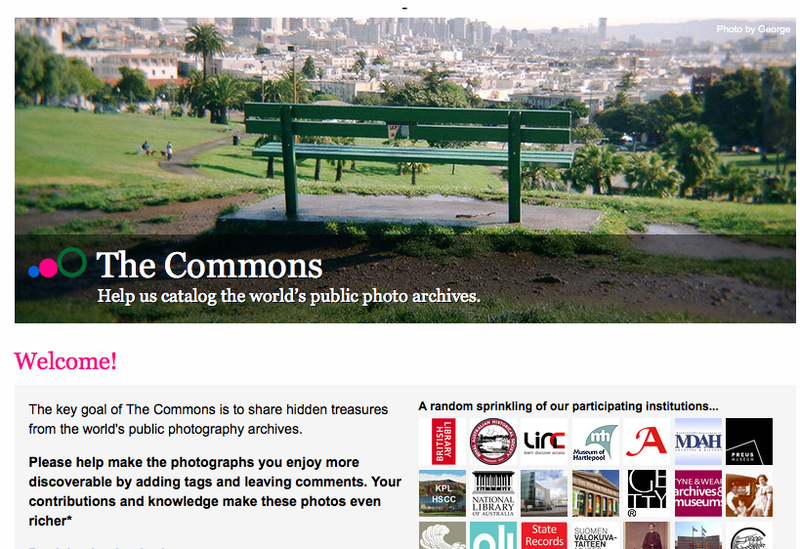 Along the right side of the page are some Flickr projects you can explore, such as “The Commons”. 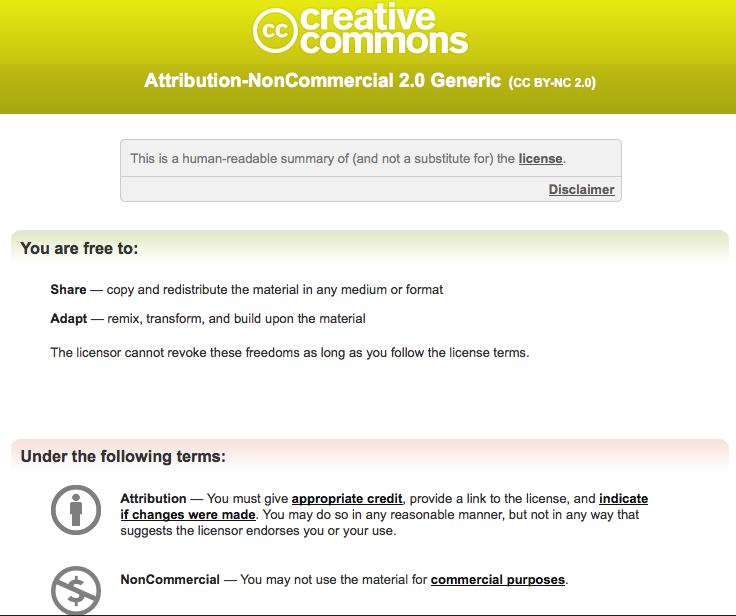 “The Commons” is different from “Creative Commons”. 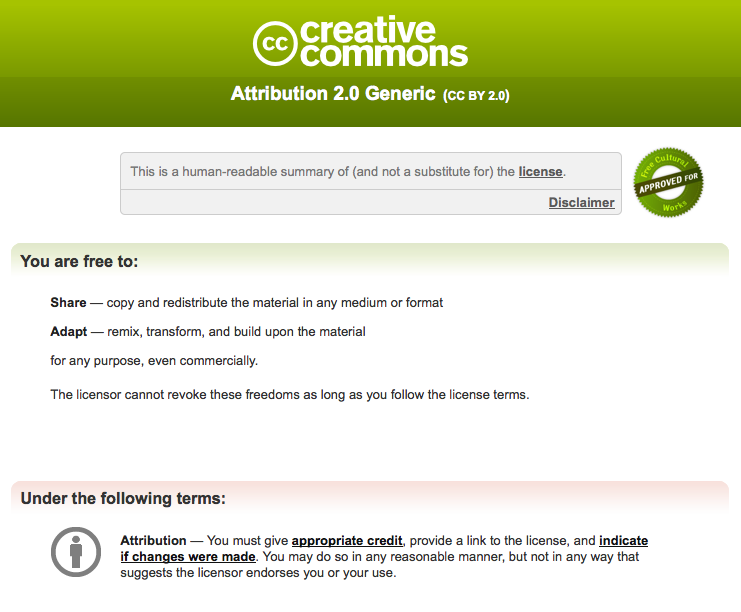 Creative Commons is a system of licensing use of original material. Our “go to” expert on Creative Commons in Ontario is Rodd Lucier, and this blog post is a “must read” for educators in this province: Creative Commons: What Every Educator Needs to Know. Shared under a Creative Commons non-commercial share-alike license by Kristina Alexanderson (click the image to see the source). 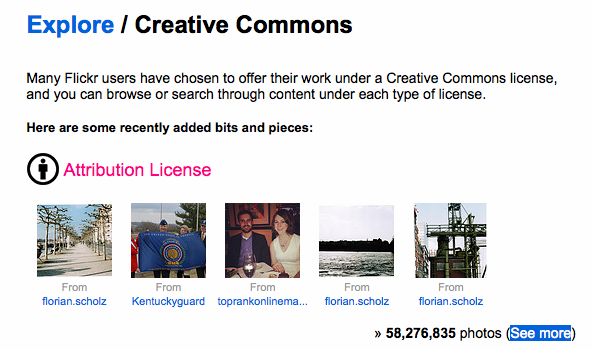 If you search “creative commons” on Flickr, you are directed to this site. 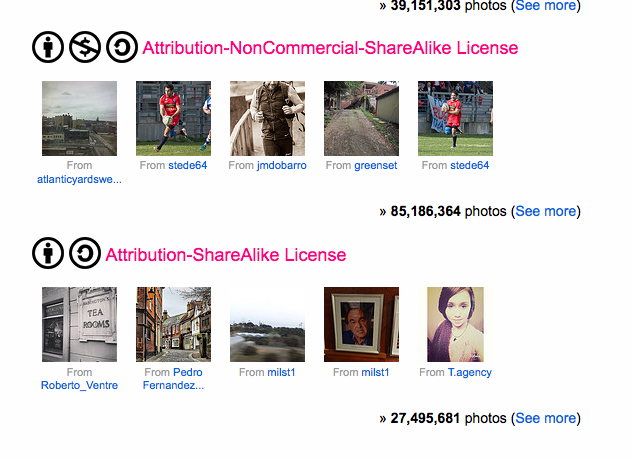 When Flickr users share their work under a Creative Commons license, you can reuse the images according to the user specifications (i.e., the type of license chosen for the work). Choose the type of license that meets your needs, and “see more”. You will be provided with an option to search. 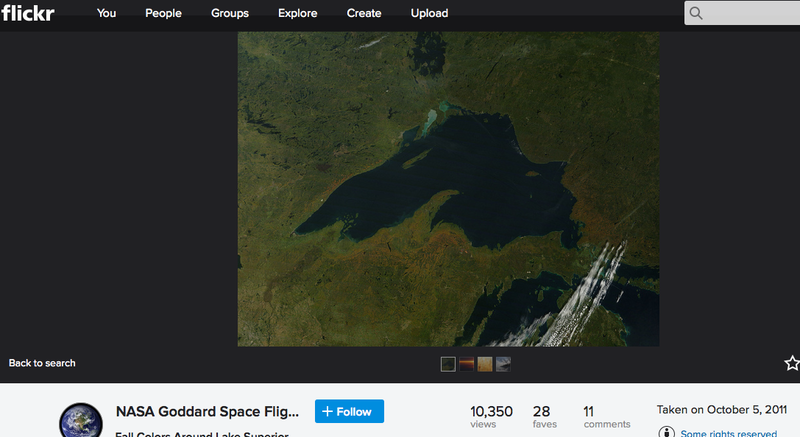 We have entered “Lake Superior” to see what Flickr users have contributed on this topic. We get a large number of stunning images from our search. Images shared under a Creative Commons attribution license by Adam Kahtava, Natalie Lucier and Kevin Dooley. 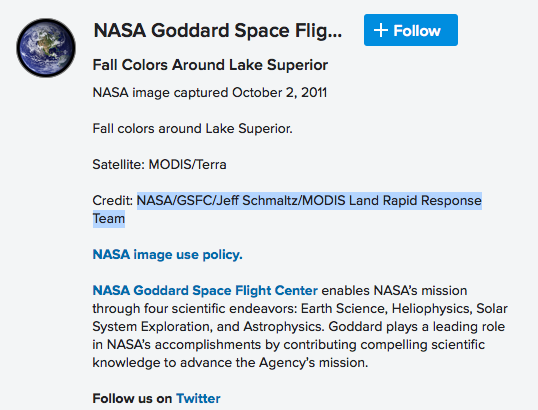 We love the NASA image of fall colours around the lake. Clicking on the image takes us to the Flickr page where this image is posted. We notice that there are limitations in using this image. 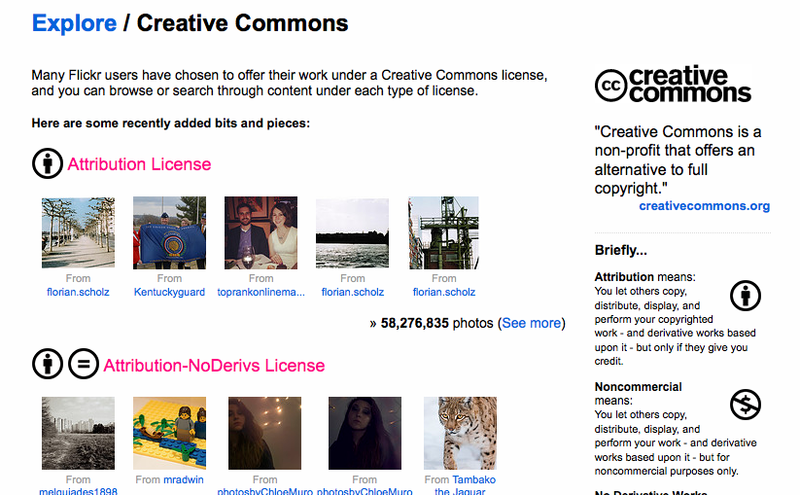 Clicking on “Some rights reserved” takes us to the Creative Commons License that explains how we can use the image in our own work. We are able to use the image, as long as we give proper credit to the source. The source of the image is provided. If I used the image in a blog, I would create a link to the image that takes the reader to the original image site if they click on the image. 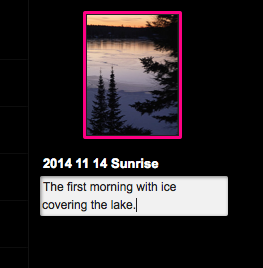 I would also provide attribution information in the caption, or on the blog page. Similarly, using the image in a presentation would require appropriate attribution on the slide, including a link to the original site/license. Keep in mind that our search was only for work that had an attribution license. There are many other licenses we can search. We could return to the original Creative Commons search page, or we could adjust the parameters at the top of the page that help us to filter our search more precisely. By searching again, we get a different set of results. Image shared under a Creative Commons attribution, non-commercial license by fryed_2010. By investigating this photo, we learned that it had an attribution non-commercial license, and that our use of this image was limited to non-commercial applications. Flickr is also a place where you can share your own photos with friends, or even contribute to the collection of images available to others for learning and creating by licensing your work appropriately. Choose “upload” on the top navigation bar. Choose the photo you will share, then follow the instructions to edit the title and description. 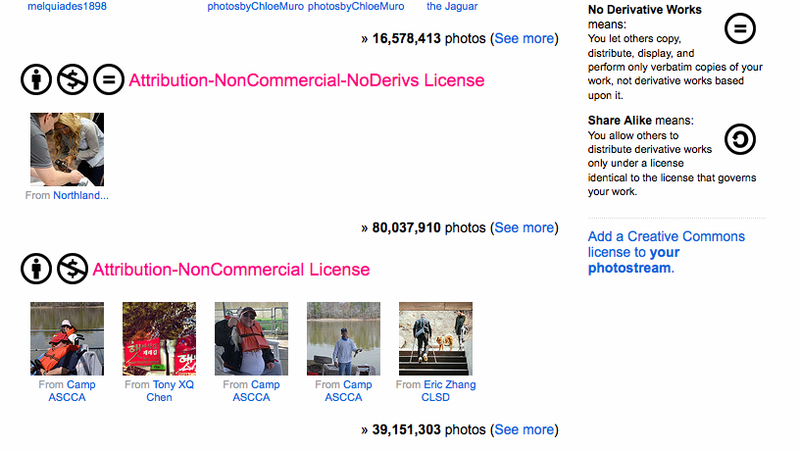 Click on “owner settings” to choose the license for your image. Add a number of tags to your photo so that it will appear as a result when others are searching. Check to see that the information is correct, and choose upload. Your image now appears on your site. 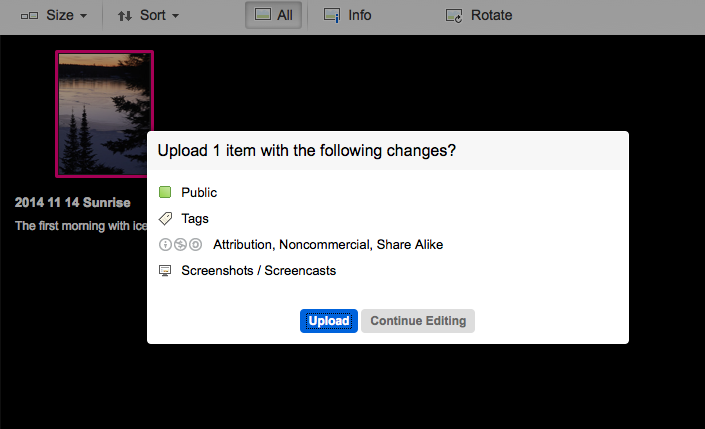 You can be more social on Flickr, and follow the images that your friends are uploading. Continue to explore this site in your spare time. 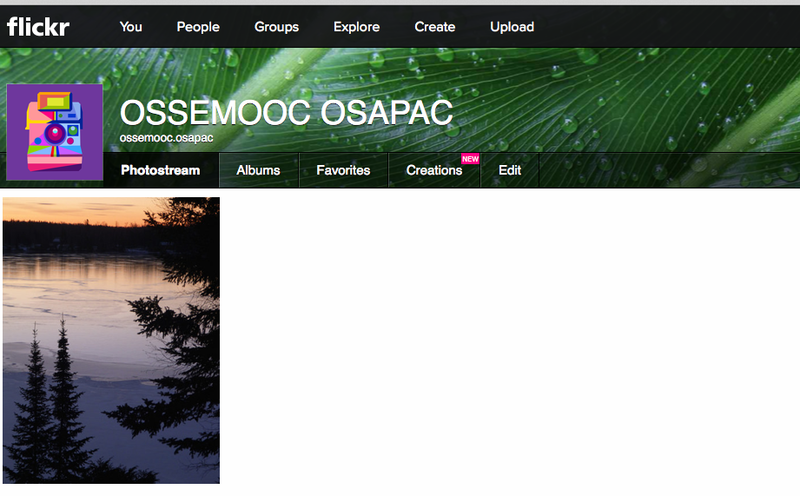 OSSEMOOC will continue to share other classroom uses for Flickr.